I couldn't get on Twitter this morning, so when I finally checked it between classes and caught up on the news about Occupy Wall Street, I was horrified. They destroyed books! They arrested journalists! They ignored a court order allowing the protests to continued! But what everyone on my twitter feed was most upset about, and I agree: They threw away THOUSANDS of books! So here was my favorite comment on the subject, via Shakesville's open thread. You smashed the library. 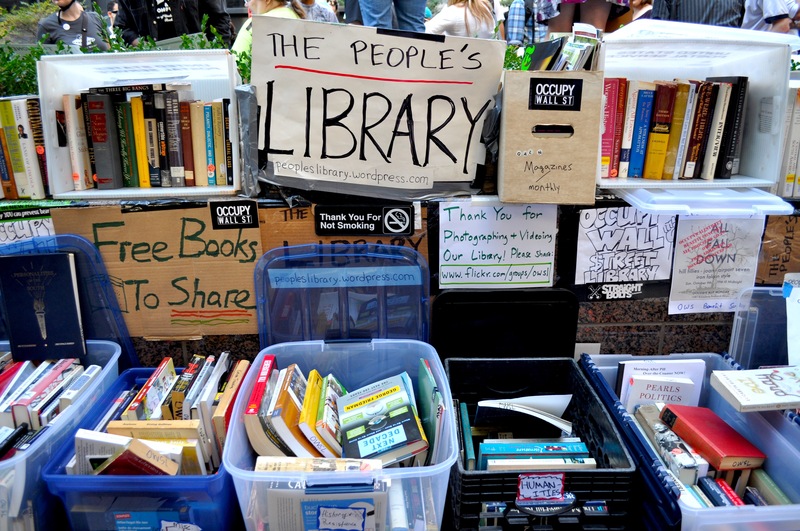 5,000 books gone and in a landfill because you had to be needlessly cruel and/or beat some protesters in effigy. It is ON, motherfuckers. On like Donkey Kong. On like the Doctor facing down a bunch of aliens at Stonehenge with the Pandorica. On like Neo fighting Agent Smith one-handed. Because now the geeks, bibliophiles, and librarians are coming for you. And we have all the cool signs and cosplayers.